The IBIS Budget Granville team welcomes you in its verdant setting! 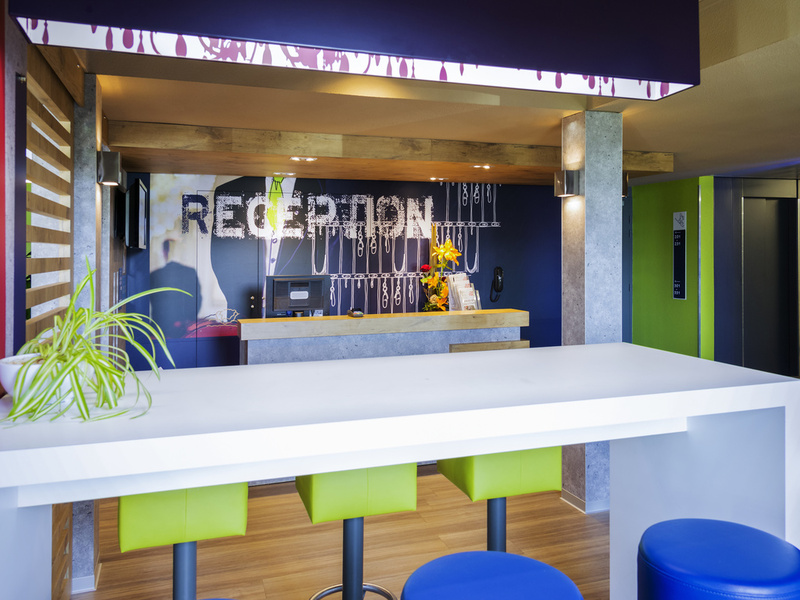 Located in Mont St Michel Bay, the ibis budget Granville (formerly Etap Hotel) is 1.9 miles (3 km) from the town center, the beaches and the port (departures to the Channel Islands Chausey, Guernsey and Jersey), 40 minutes from Mont St Michel and an hourfrom the landing beaches and St Malo. Your smart choice for accommodation! Modern and inviting rooms designed for 1, 2 or 3 people with a shower, toilet, satellite TV, free WIFI and free private car park at a very affordable price!